Run Jump-n-Play Makes Your Child’s Birthday Party Easy! 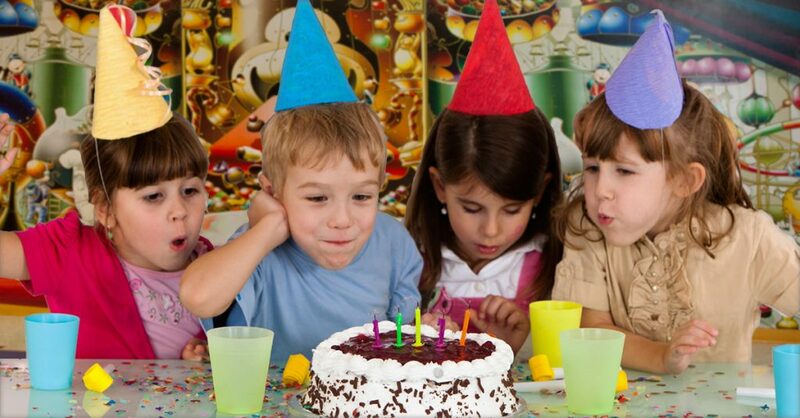 When it’s time to plan a birthday party for your child, there are a few ways to go about it. You can hold an event at your house where children will recklessly tear through the place while you try (in vain) to “police” or entertain them. You can try to imitate the impressively orchestrated parties you see on Pinterest (with impressively high price tags! ), but in the end, the kids couldn’t care less that your expensive striped straws match the table runners which coordinate with your personalized print-at-home banner. Isn’t there a cost-effective, sanity-saving, effortless way to throw a fun birthday party that your child will remember for years to come? Run Jump-n-Play is the answer to all your birthday party needs! With a variety of options to suit every budget and guest list, you can make your Run Jump-n-Play party as inclusive as you like. Every party includes a personal party host to take care of all the nitty-gritty, your own private party room, set-up, clean-up, paper goods, invitations, our easy to use RSVP system and, of course, private use* of the Run Jump-n-Play arenas. One price— no fuss, no hassles, no repeated trips to the party supply store, no juggling multiple vendors. Want more? We can add pizzas, drinks, goodie bags, ice cream cups…we can even create a Princess or Pirate themed party complete with boas and wands or hats and swords! But most importantly, our parties are FUN! Sit back and take in the day as your child and his/ her guests run, jump, play, laugh and enjoy hours of active fun throughout our state-of-the-art Inflatable Arenas. Simply put, there is no better place for any child’s big celebration! As parents, we all want to give our kids the best party possible, but the pricing has to stay on budget and the planning has to fit within the confines of our busy schedules. Parties at Run Jump-n-Play are not only affordable and virtually effortless, they are THE parties kids want to throw and their friends want to attend! Stop Googling “party games for kids” and step away from the DIY personalized party printable instructions. Run Jump-n-Play is the answer to all your birthday party needs!